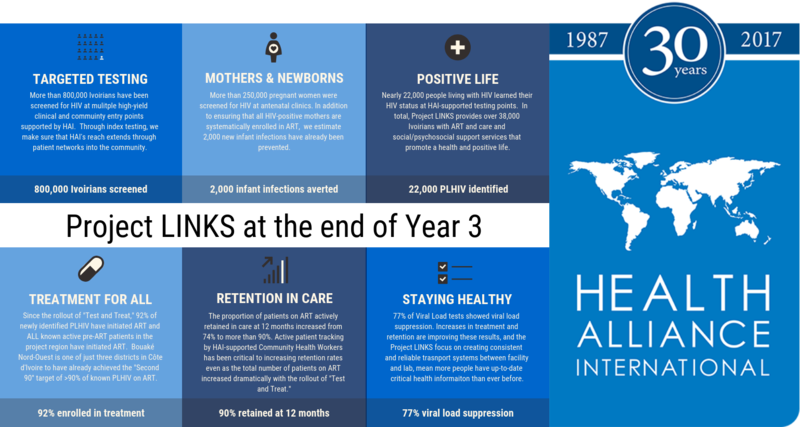 Over the course of the HAI-PEPFAR project, the HAI team has been working to scale up and expand access to comprehensive HIV/AIDS care and treatment while strengthening the capacity of national structures and providing sustainable service delivery. The project builds on PEPFAR and MSHP policies to implement critical interventions for HIV prevention, care, and treatment and develop partnerships with local NGOs to promote sustainable HIV support activities. 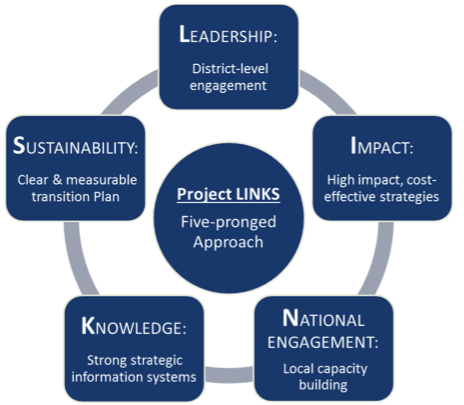 Project LINKS (which stands for Leadership, Impact, National Engagement, Knowledge, Sustainability), employs a five-pronged approach which promotes: 1) strengthening local MSHP leadership; 2) employing high-impact strategies; 3) building local NGO capacity; 4) reinforcing strategic information systems; and 5) establishing a clear transition plan for PEPFAR activities to a local NGO, IRAA (Institut de Recherche et Actions en Afrique). Project LINKS emphasizes key cost-effective interventions in regions and communities with the highest HIV prevalence. We help organize health facilities to use targeted testing to identify and treat HIV-positive people, especially key populations. We are helping the government of Côte d’Ivoire reach the 90-90-90 goals – that by 2020, 90% of all people living with HIV will know their HIV status; 90% of all people with diagnosed HIV infection will receive sustained antiretroviral therapy; and 90% of all people receiving antiretroviral therapy will have viral suppression. 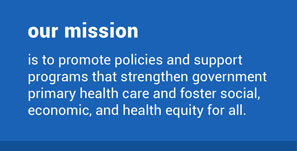 We do this by using high-yield strategies, including using innovative screening tools at health facilities; ensuring that index case testing (that is, testing of families and networks of HIV-positive individuals) is done; and training health workers to identify HIV-positive people and link them to appropriate care and treatment services. HAI staff also work with local community-based organizations to ensure a strong link between health facilities and the communities they serve. Social workers are placed at health facilities to provide pre- and post-test counseling and to organize essential monthly support groups for people living with HIV and their families. They also do home visits to ensure that people with HIV don’t drop out of the health care system. This work means that HIV-positive people are linked and retained on treatment services and can keep a suppressed viral load. Over the course of the five-year project, HAI is working to transition Project LINKS activities to local stewardship, led by the MSHP and Ivorian non-governmental organizations to ensure ongoing support of health systems in Côte d’Ivoire. Click on the infographic below for initial results from the first three years of Project LINKS. This project is funded by CDC/PEPFAR.